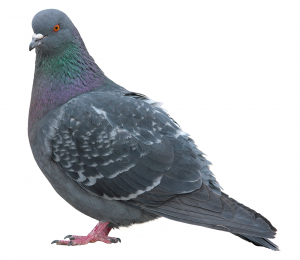 Pigeons and various other types of birds can become a real nuisance for your business. 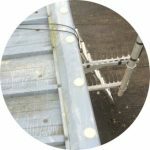 It’s not just the mess they make; they can also damage your premises by dislodging roof tiles and blocking guttering, as well as deface buildings and vehicles with their droppings. They frequently foul entrances and pavements, which can become dangerously slippery, attack customers and employees, especially during the breeding season when they are defending their young. There are a number of other problems that mean you should adopt bird control measures sooner rather than later. Bird pest control helps to eliminate or deter pest birds from landing, roosting and nesting. Pigeons are responsible for millions of Euro of damage to properties each year. The feral Pigeon is classed as vermin and they can pose a serious health risk to people, carrying a multitude of diseases and renowned for harbouring biting insects which include mites, textile beetles and fleas which are attracted to their nests and roosting sites. They are also responsible for intestinal infections and respiratory problems. 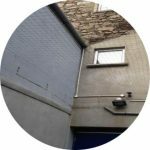 Dundalk Pest Control offers a wide range of pest proofing products expertly designed to prevent the infestation of pest bird species. Our fully trained and highly skilled technicians offer one of the most experienced services throughout the country. Generally, a combination of methods yields the best results, in the most pressing of situations culling pest species of birds may be deemed necessary and is carefully carried out by our licensed marksmen.